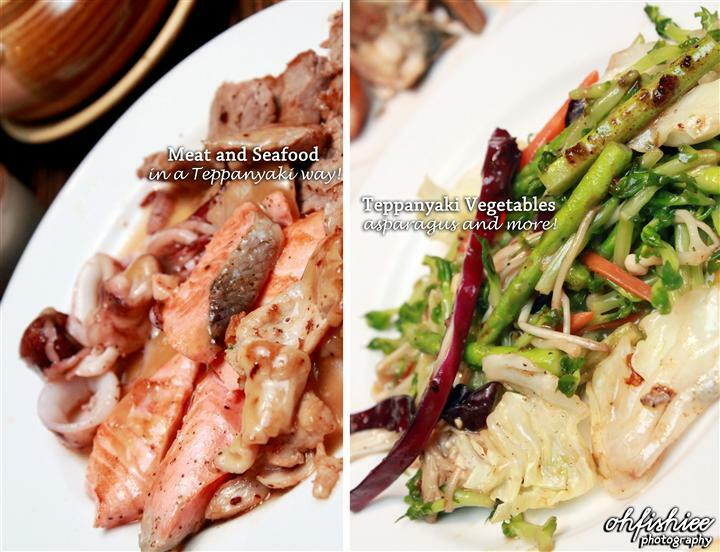 Looking for something different in town, I’m tempted to try out the Shumatsu Buffet at Eyuzu Japanese Cuisine at Eastin Hotel, Petaling Jaya. This Japanese buffet is really something to look forward to, because it is really satisfying based on past comments and I have never heard any complaints bout this restaurant. 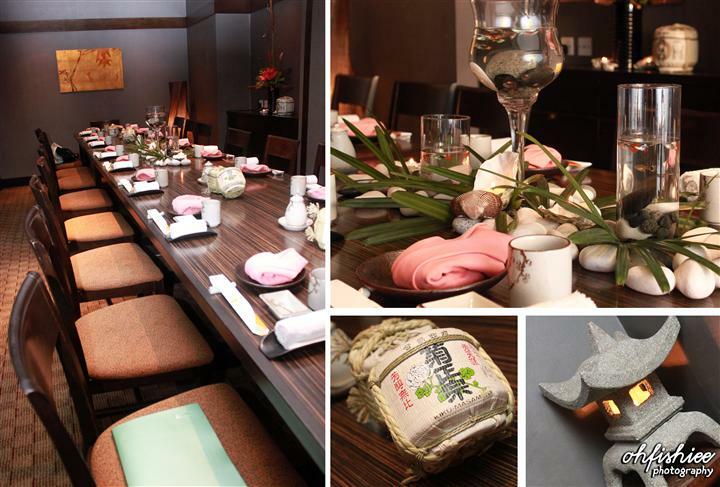 Under the perfect dining ambiance, Chef Ricky Hui has prepared us a sumptuous buffet spread. What a weekend treat it is as I can enjoy different Japanese gastronomic fare with the little Japanese table setting and live fishes in the aquarium bowls. The first and best thing to relish in is definitely an array of sashimi. It is well-presented in thick cuts which reveal its juiciness upon each bite. 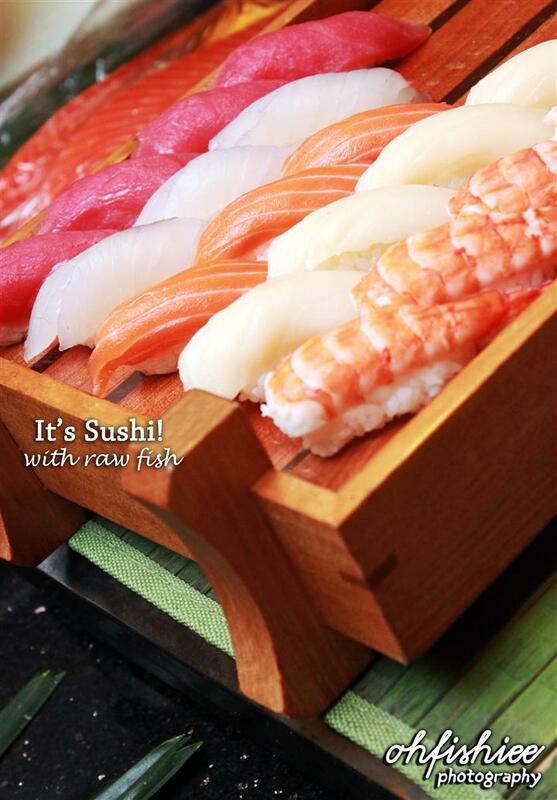 The preparation from the kitchen is almost never-ending, and we can always savour the freshest slice of sashimi. 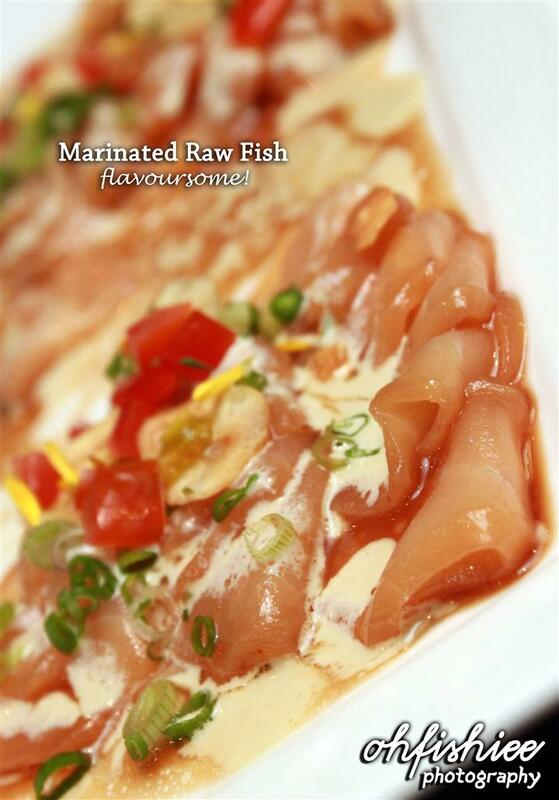 I’m totally smitten with this platter of raw fish which is heavily marinated with butter and garlic. As flavourful as it is, the touch of freshness is retained. This is unusual in a Japanese buffet selection. 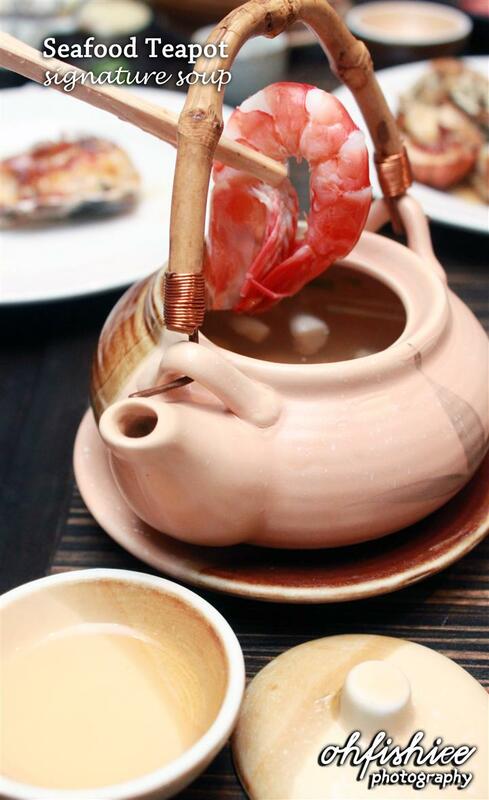 It’s Chef Ricky’s specialty seafood soup in a teapot, which is served individually to us. It’s light and flavourful; Simply irresistible! I rarely see such an unique starter, which tantalizes my taste buds along with its crispiness. Now I can enjoy a twist in the flavour of something which usually disposed into a bin. 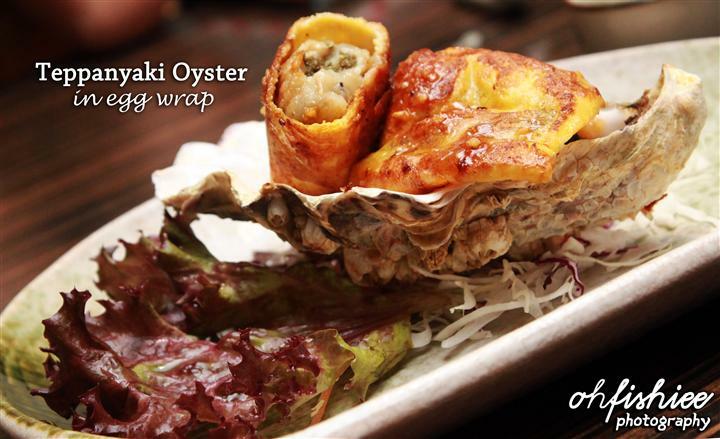 Relish in this freshly shackled oysters with its oozing juice upon each bite. Best for those who don't favour the raw taste. 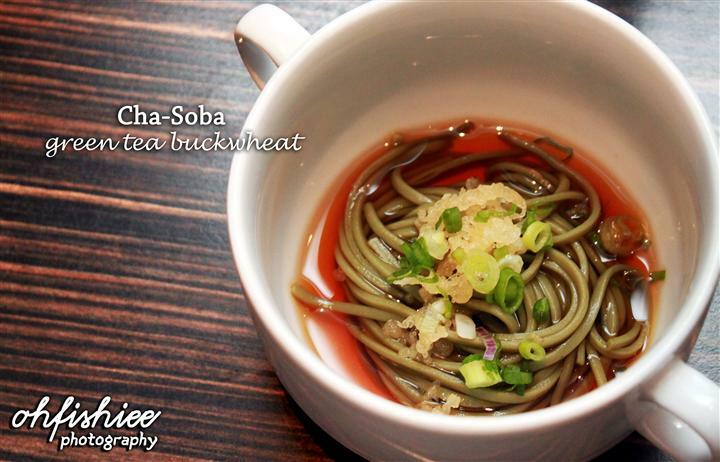 The Japanese staple wheat noodle is a must-try, as the bouncy noodle goes along pretty well with its soy sauce, plus the added aroma from the spring onions. 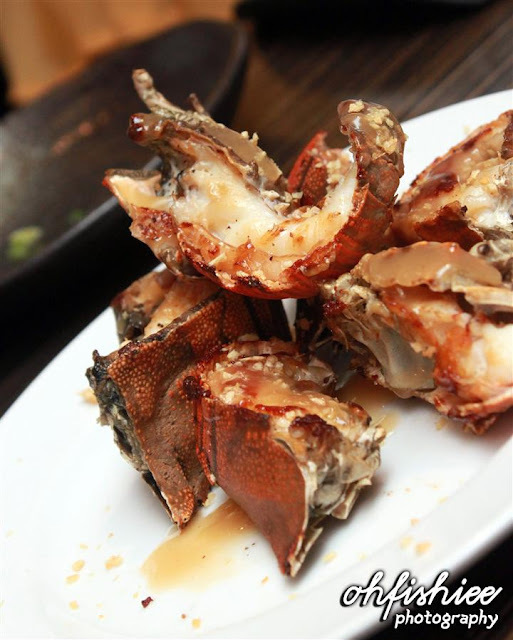 For some heavier taste, you'd love some piping hot teppanyaki grills, with its taste enhanced with soya dashi sauce. 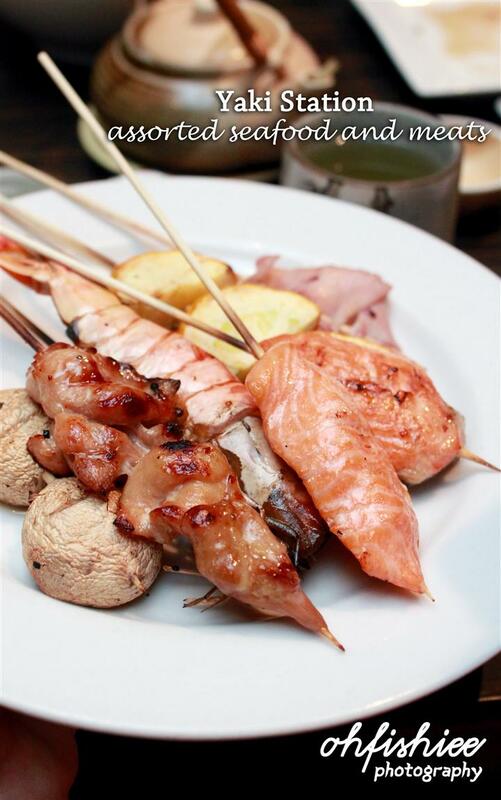 We had our satay in Japanese style as well, with its original healthy barbequed meat. Apart from chicken and beef, we grilled salmon and tuna too. 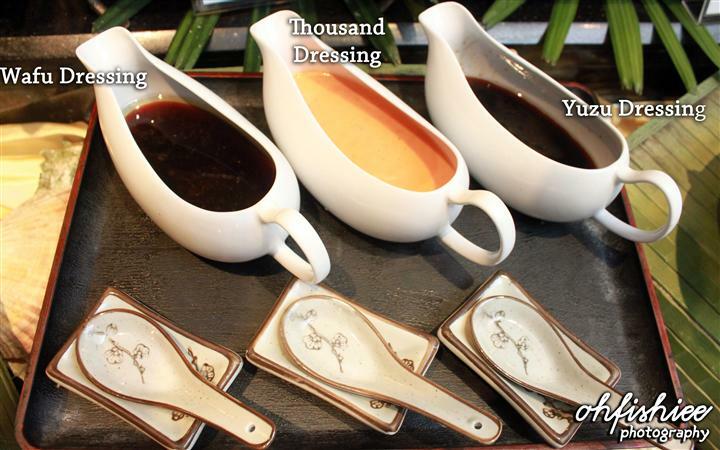 It is complemented with different flavours of spreads, including Kaya, Strawberry, Peanut, Honey and Chocolate. 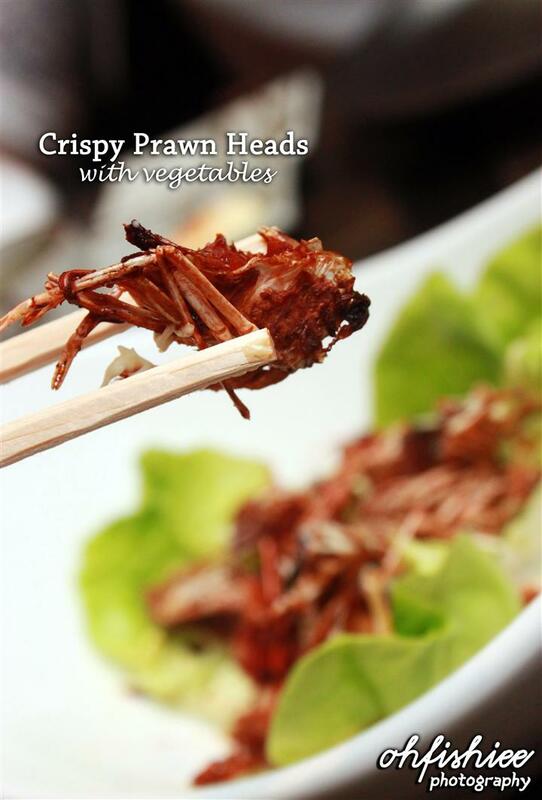 It is perfectly cooked with crispiness on the outside and soft on the inside; A lovely one to snack on! You may find the red bean filling in a mochi quite common, but surprisingly, it comes with the aromatic Pandan and Black Sesame fillings here, with fluffier skin and better chewiness. 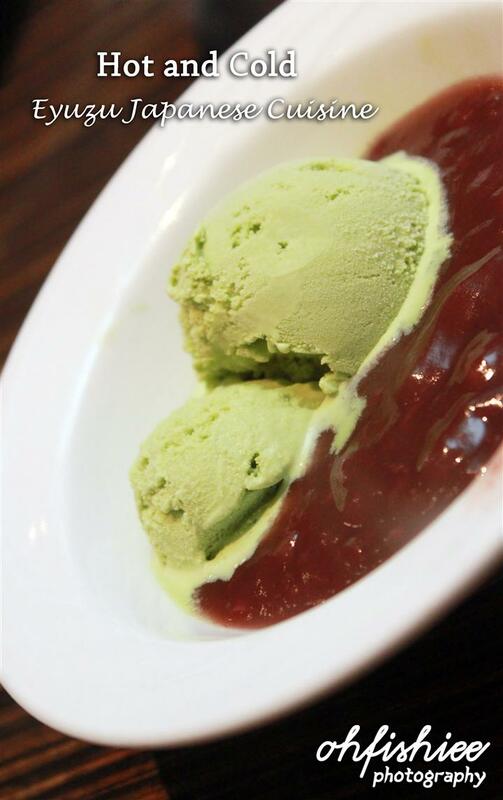 I simply love to have warm red bean paste along with two scoops of Green Tea ice cream; A creation I learned from some Japanese Café. Despite of the colorful bowl of condiments, what really attracts me is the scoop of Pistachio Almond Ice Cream. 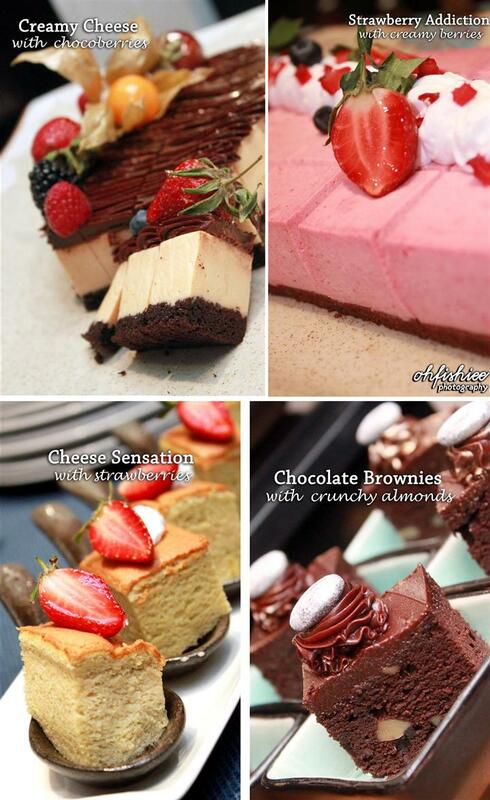 Aromatic and flavourfull, a touch of sweetness melts my heart. 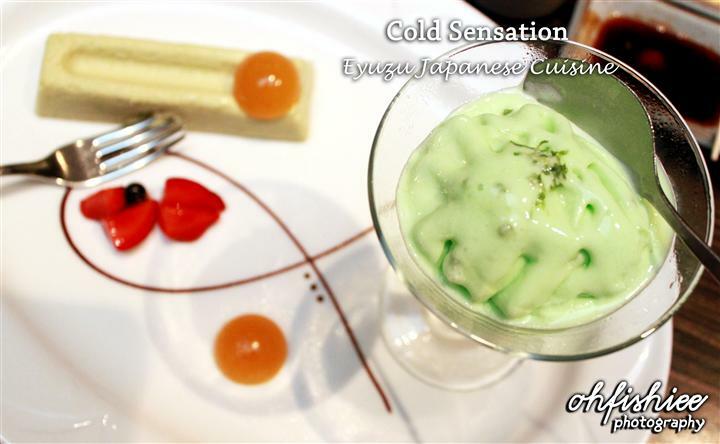 Finally, the hotel management is kind enough to present us the beautifully decorated dessert comprising of Green Tea Mousse, Lime Ice Cream and a touch of fruits. 1. Anything raw here is fresh and succulent. A total enjoyment for Japanese food lover like me. 2. 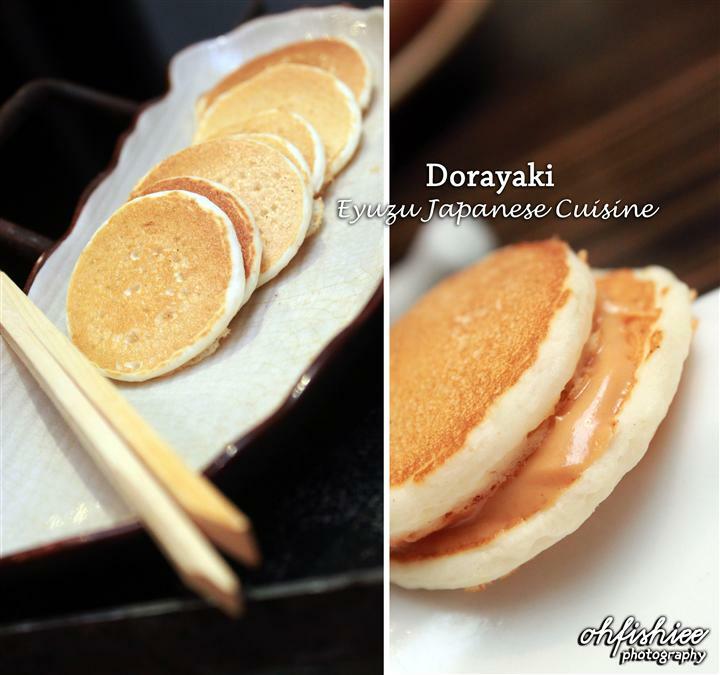 I love the concept whereby it serves more diversified Japanese cuisine which we rarely see. 3. 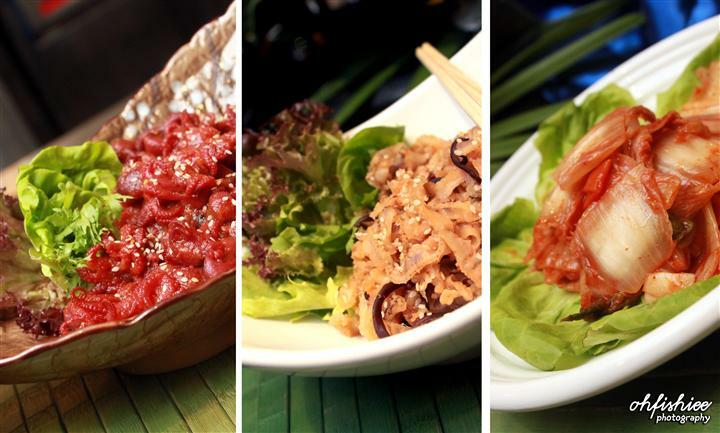 Eyuzu will never let you down with its authentic Japanese flavours and setting; Needless to fly to Tokyo anymore! 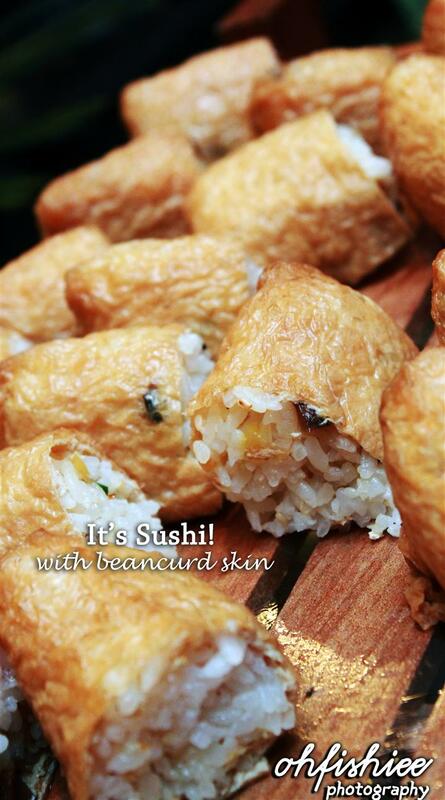 You make me want to put up a stay at Eastin Hotel and go to Eyuzu Japanese Cuisine. All food are too good to look at. Hi Sheoh Yan, I have updated bout their rooms too :) You should really consider this idea! Hi Eunny, yay! :) Let's makan! The seafood teapot looks interesting! 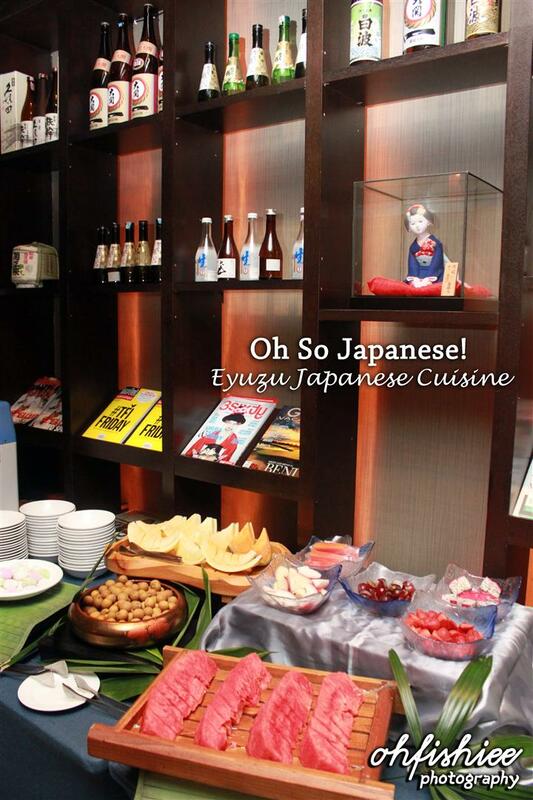 Drooling at the sashimi set and the omochis!! Yummy! Not a fan of fried and crispy stuffs so I will normally not eat those crispy crab sticks and tempura in a Japanese buffet. Also not a huge fan of sushi - will normally avoid them in a buffet cos they take up too much space in my stomach. Hahaha!! 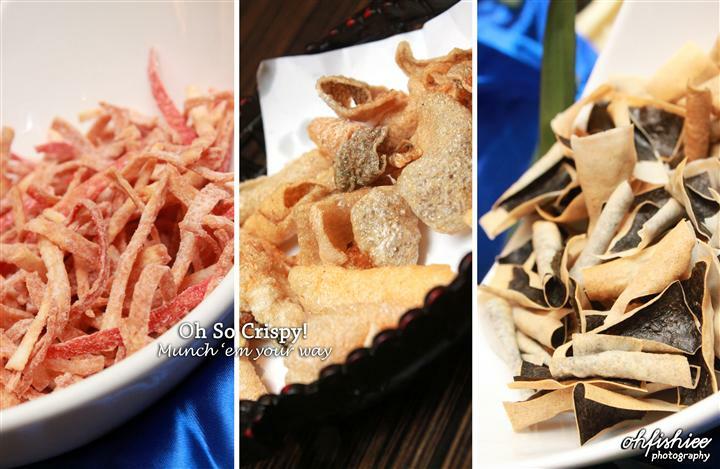 Hi Foong, seems like all of the foodstuff tempt you well! 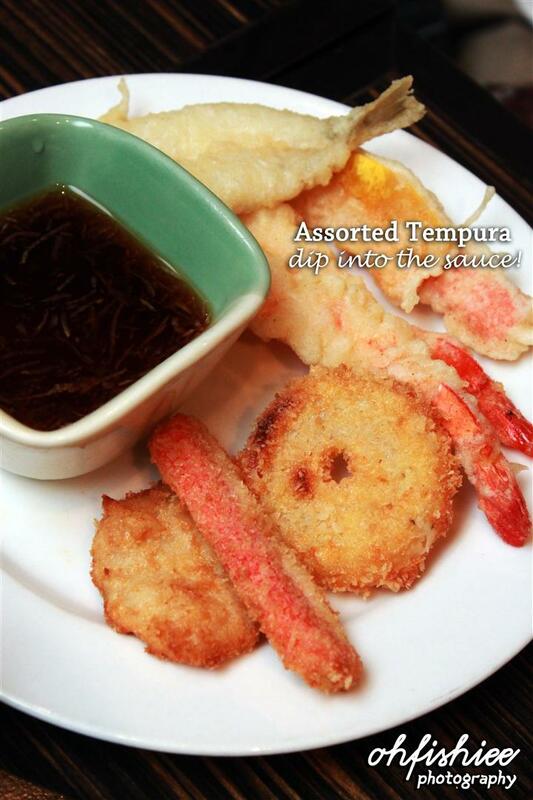 :) The best thing is certainly the sashimi, while the best spread for pancake is no other than honey! Hi Rascat, it's not RM48 by the way, the price is clearly written in my post :) Check it out! I saw a few of my favourite - shashimi, baby octopus, oyster....ice cream....aaa.... making me craving for sushi. haha... Nice photos. Hi mNhL, they're all my favourite too! I kinda missed for their fresh sashimi..
Hi Nikel, same goes to me :) I wanna revisit! Hi Sean, it's certainly a good bargain, especially for their sashimi! Hi Mel, agree with you about the sashimi :) It wins everything there. 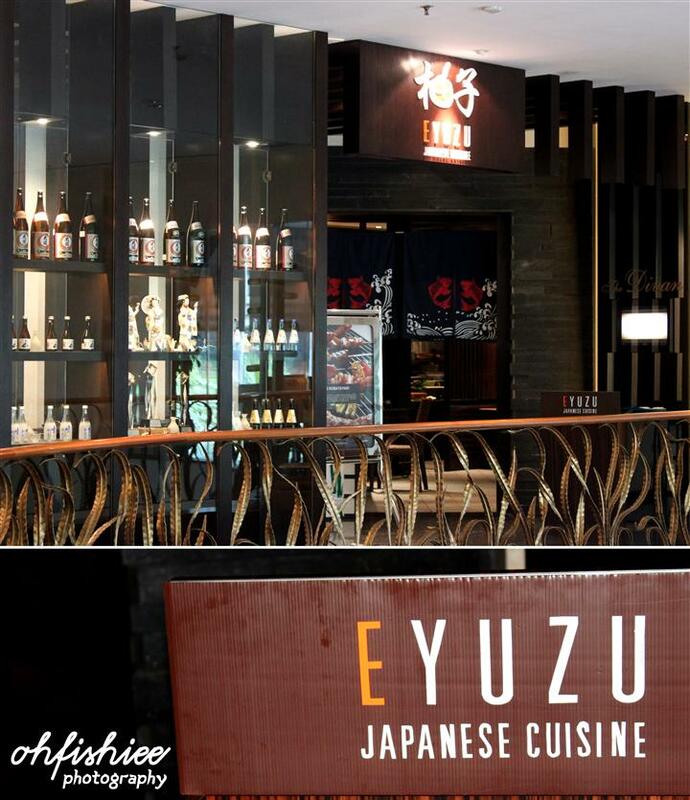 i've only been to Yuzu at Gardens but not EYuzu in Eastin, haha!! wow, look at all those food!! so yummy!!! Your photography skills are so good. All the food looks sooo yummylicious!! Really need to make a trip there! Hi Ken, thanks (: hope you fancy the food here! Hi Oongui, it's definitely a steal there :) Yummy! 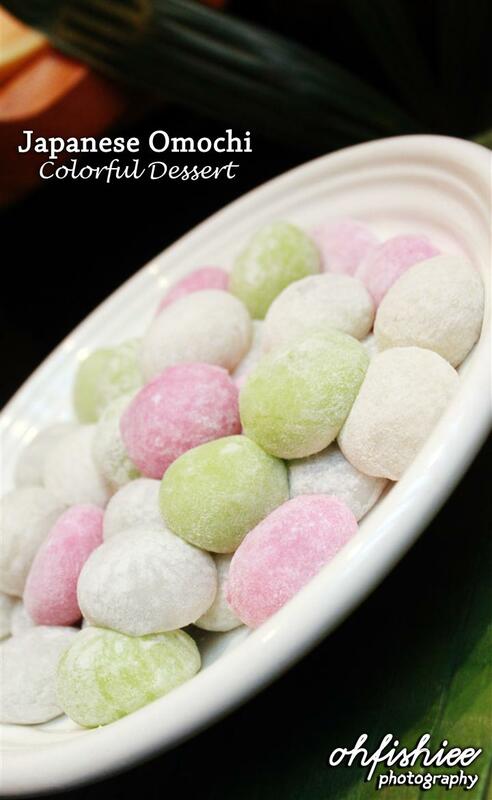 Love the assorted mochi... yummy..
We have a high liking for Japanese food esp the sides and raw cuts. I was checking out the pics on this in detail and seems like a perfect place the next time we want to indulge in Jap food what more the price is ok.
Hi Nava, totally agree with what you've commented here! 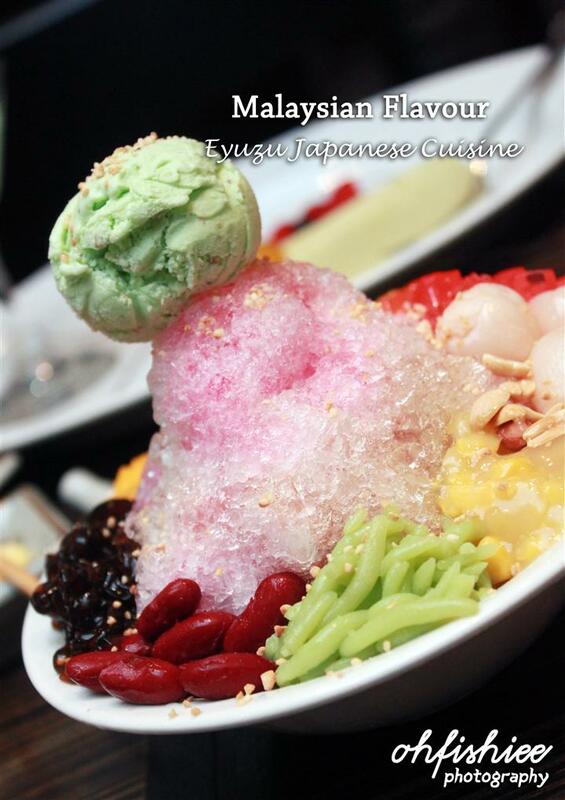 :) Tried Eyuzu before? WOW, What a place, everything looks amazing! So pretty, too! Your photography is fantastic! Never knew Eastin has such a nice pricey buffet XD How Clean or Dirty Will the 13th Malaysian General Election Be? The raw fish seems pretty fresh here. It was fun seeing Japanese dishes from this restaurant. 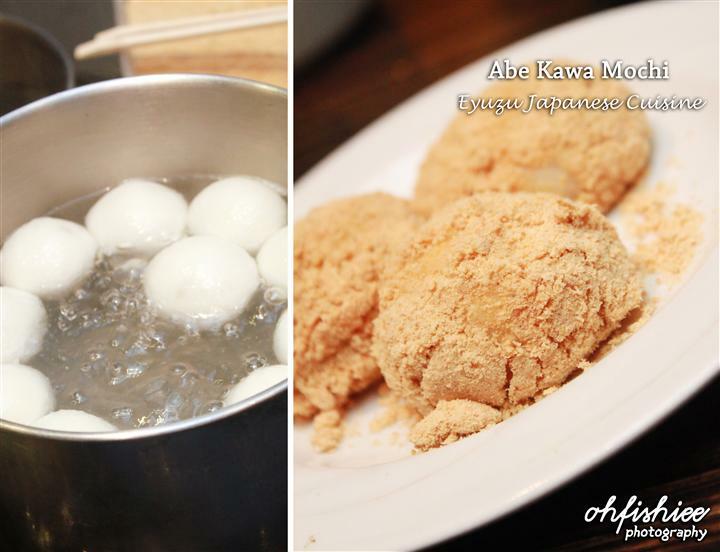 Abe Kawa Mochi was really interesting - I've never seen it in a restaurant and this restaurant must know what they are serving! As a buffet, the quality seems to be pretty high! Thanks for sharing! 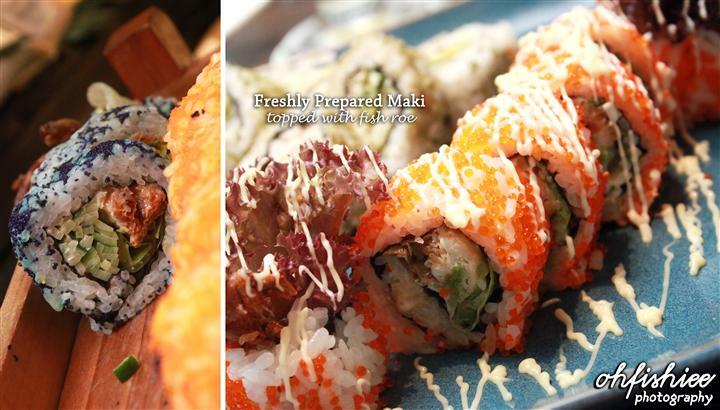 Hi Nami, it's definitely good although the chef is not a Japanese, but the quality is well-maintained here. Fish, I think I'll pass the Prawn Head.. 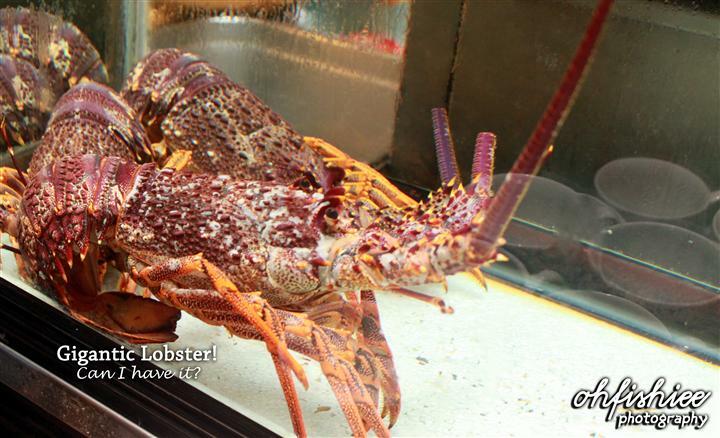 I don wanna eat otak udang.. :p.. ha ha ha..
Hi Aki, what an idea you have there! :P I didn't thought of that though. I love red bean paste and red bean ice cream. Yum! 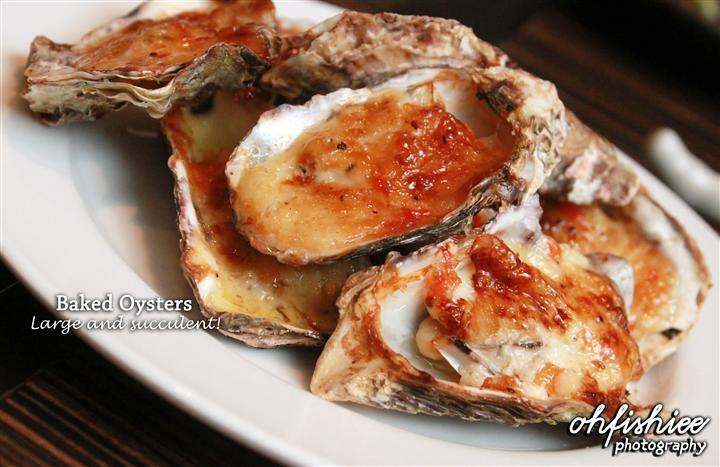 Dear u make me drooling over the baked oyster AGAIN! 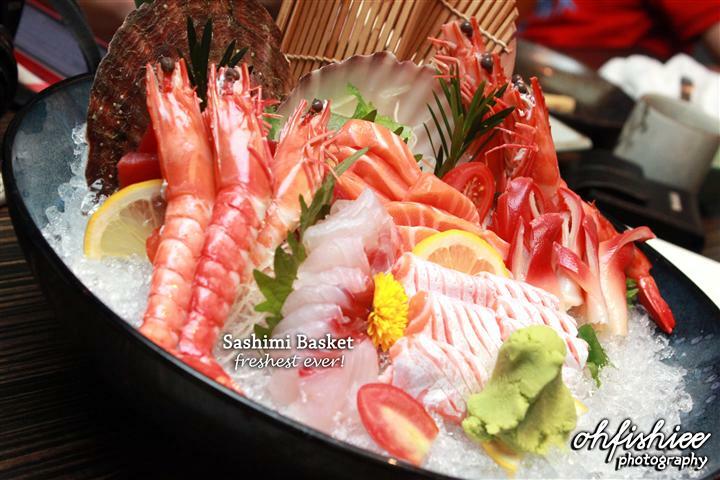 The sashimi platter looks so good! Price looks rather reasonable too. Hi Sumo, yes it is! have you tried? I really love the sushi and the sashimi, man. I'm drooling at the sight of it, lol. But I do hope that it's as good as Kampachi. Hi Charlotte, i haven't tried kampachi before, hope to try it someday! what a mouth-watering spread. you can never go wrong with Japanese cuisine. 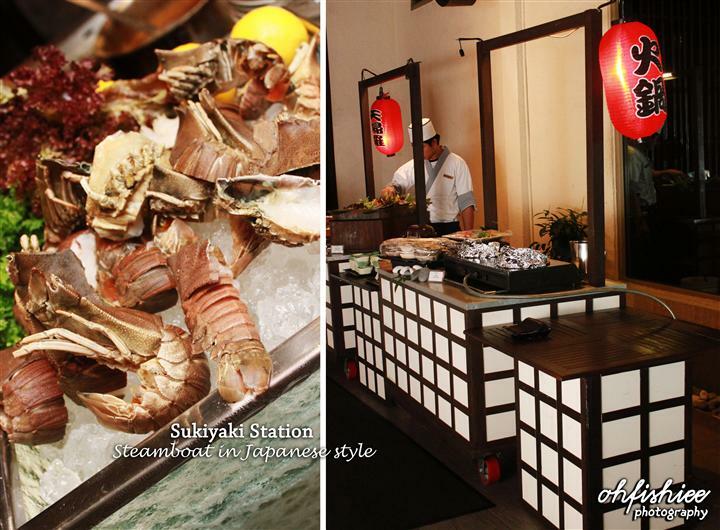 the baked oysters and sashimi look simply divine. Hi there, yes you're right. Everything there is fabulous!